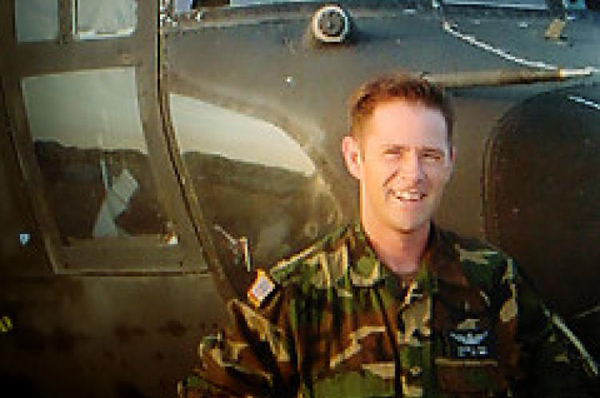 Record-breaking baseball player, pilot with the Army's elite Nightstalkers, dedicated leader and patriot, Major Stephen Reich was all these things and more. Reich served four tours of duty in Afghanistan and was killed in action on June 28, 2005 during Operation Red Wings, as he and 15 other troops (8 Nightstalkers & 8 Navy SEALs) aboard an Army Special Operations MH-47 Chinook helicopter were struck by a rocket-propelled grenade in the mountains of eastern Afghanistan's Kunar province. No one survived. Their mission was to rescue a four-man Navy SEAL team, one of which was Marcus Luttrell who later wrote about the events in Lone Survivor. But what you don’t know about Stephen Reich, and how he came to be the pilot that fateful night, might surprise you. On that night, Reich took command of the Chinook right before one of his newest pilots, 1st. Lieutenant Matthew Brady, was about to depart to rescue Luttrell and his team. Reich attended West Point where he pitched for the Army baseball team. Reich was a star pitcher for Army and holds the record for most wins by a West Point pitcher. Reich was known for his fastball and command, rarely walking a batter. He signed with the Baltimore Orioles organization in 1996 after completing two years of a four-year military commitment, and pitched two games for their Class–A High Desert Mavericks affiliate in that year before being recalled by the Army. In 1993, Reich was named to the "Team USA" baseball team. He carried the American flag while representing Team USA in 1993 at the World University Games. He made 17 appearances for Team USA playing in Italy, Nicaragua and Cuba and at the World University Games. During his military career Reich received the Bronze Star Medal, Meritorious Service Medal, Army Commendation Medal, Army Achievement Medal, Joint Meritorious Unit Award, Senior Army Aviator Wings, Airborne and Air Assault Badges. He was posthumously given the Purple Heart, the Meritorious Service Medal, the Bronze Star Medal and an Air Medal with Valor device and the Combat Action Badge.